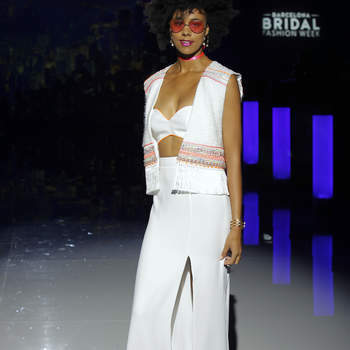 If you are someone who is getting married in the next few months, and you don’t want to opt for a traditional wedding dress, you can choose a much more original look and stand out from the crowd in a two-piece bridal outfit! In this gallery, discover our favorites, and then choose yours – we promise that you’ll look sleek, chic and will draw the eye of everyone present on your big day! 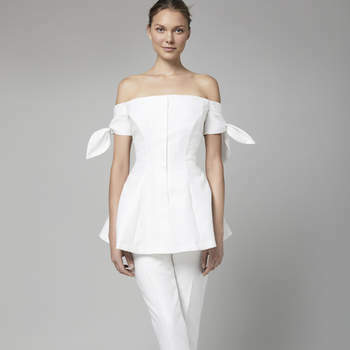 Wedding separates have become more and more popular during the last ten years as a new generation of women have begun to get married. Tired of the same cuts and shapes, they wanted something completely new and innovative for their weddings – and as traditional religious weddings also began to decline in popularity, it became more acceptable and more appropriate to wear something a little different. 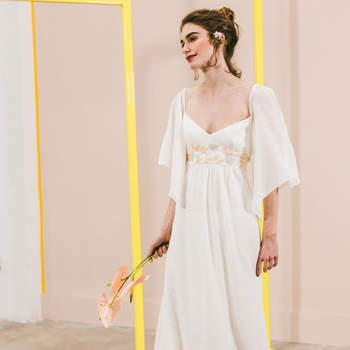 For the perfect bohemian wedding, why not try a two-piece wedding outfit – a crop top or loose bodice with a skirt or even a pair of trousers if you’re feeling really daring! 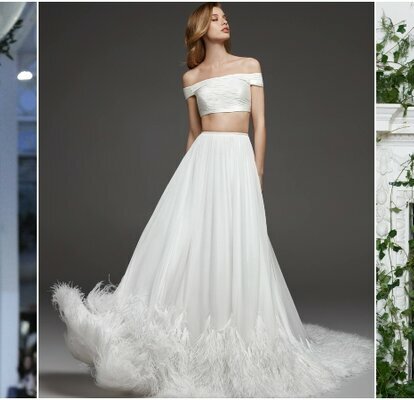 A mix of incredibly versatile styles can be seen in our gallery, to help you find exactly what kind of two-piece wedding outfit you want for your modern big day! 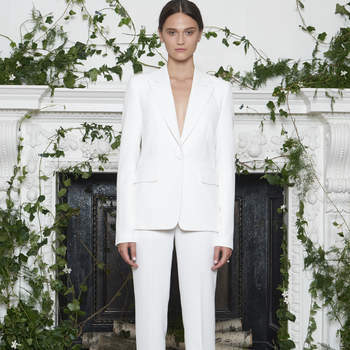 Discover the latest wedding separates for 2019, and choose the best accessories to truly complement your look. Get it right with our gallery! Isabel Sanchis. 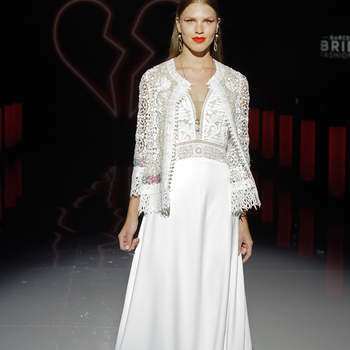 Credits: Barcelona Bridal Fashion Week. YolanCris. 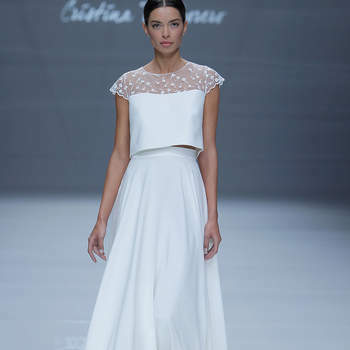 Credits:Barcelona Bridal Fashion Week.